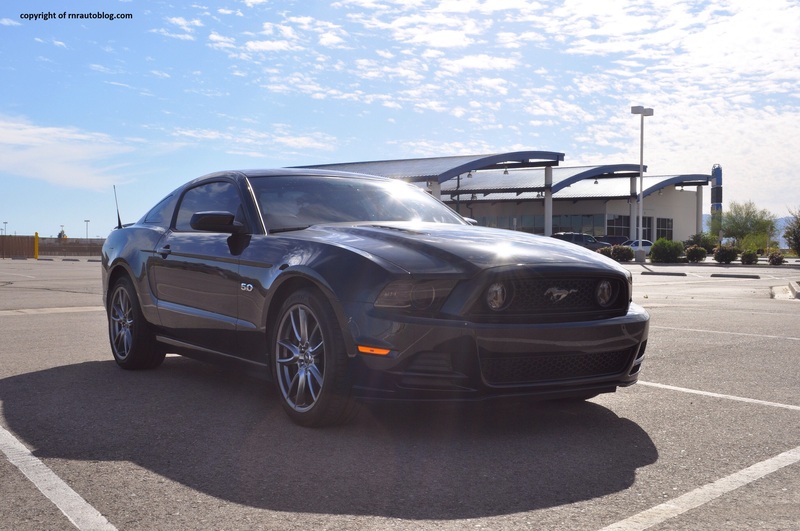 For the review of the Mustang V6 click here. 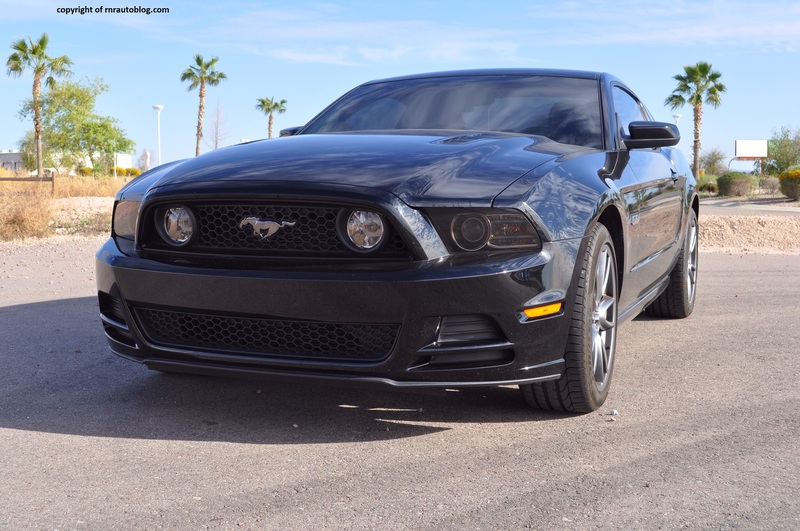 Introduced in April 1964, the Mustang became Ford’s most successful model since the Model T. It is also one of the longest running American nameplates in automotive history. 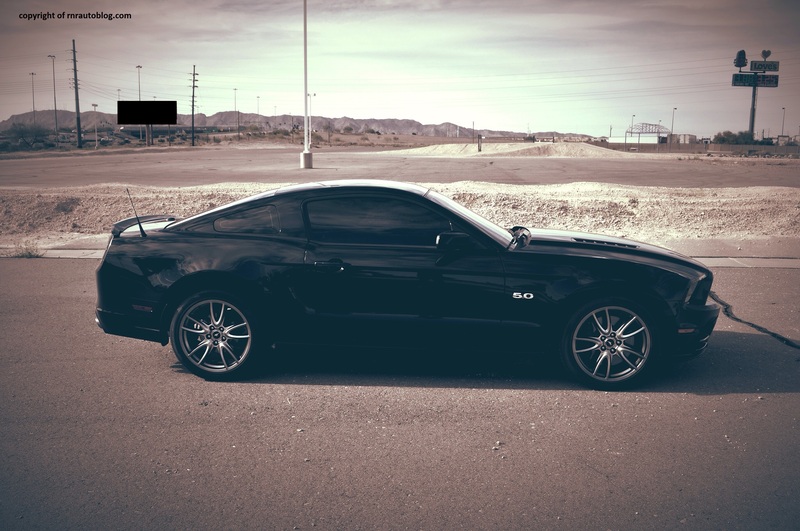 Following the 2005 redesign, the Mustang grew in size and power yet was more influenced by the classic Mustangs than the previous generation. 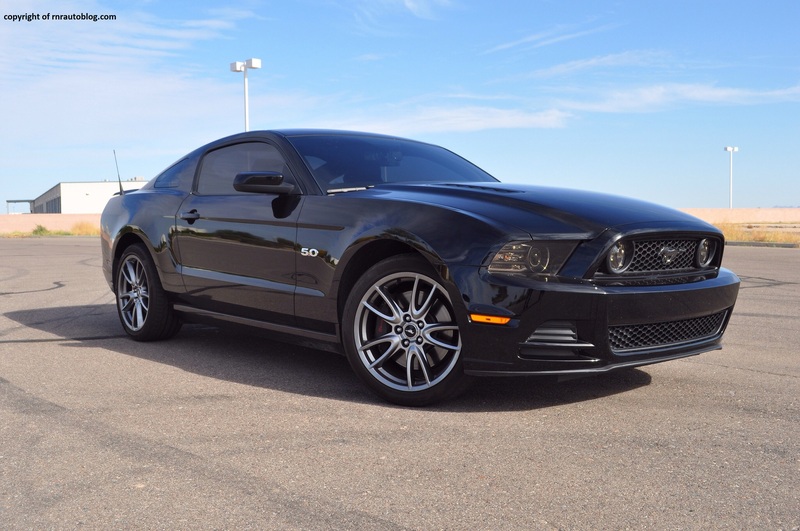 Updated in 2009, the Mustang was revised in styling and for 2011, received new powertrains. For the 2013 model year, it was updated again with upgraded sheet metal. There is no doubt that the Mustang looks aggressive. The large and intense headlights and the hunching hood gives it a muscular stance. The lights encased in the grille is a nice touch. 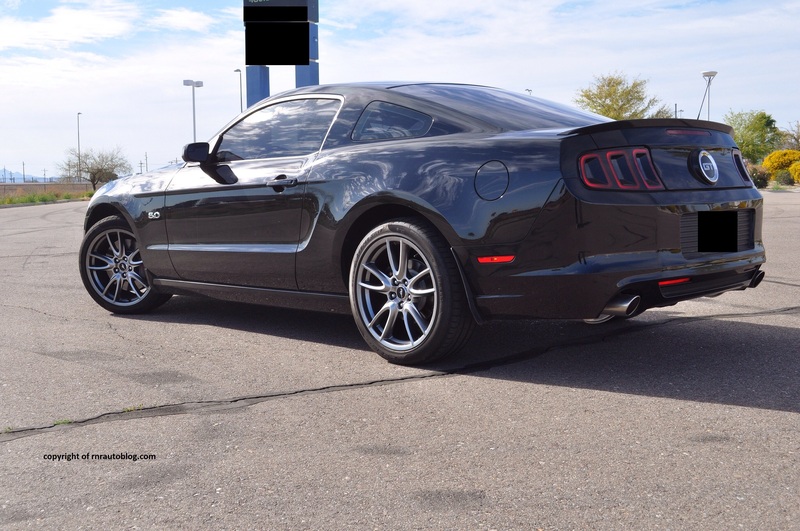 The side profile is a throwback to the classic Mustang. The shoulder blade and line are retro and fitting to this car’s character. My only problem with the side are the rear windows. For some reason, they look out of place. The rear is excellent because it continues the throwback appearance while being modern. The taillights look racy but not over the top. My gripe is the design around the license plate. It detracts from the overall appearance. The interior is literred with numerous buttons which give it a high tech look. It is dark but contrasting colors help brighten up the interior. However, since the interior has not changed much since 2005, it is starting to look dated. 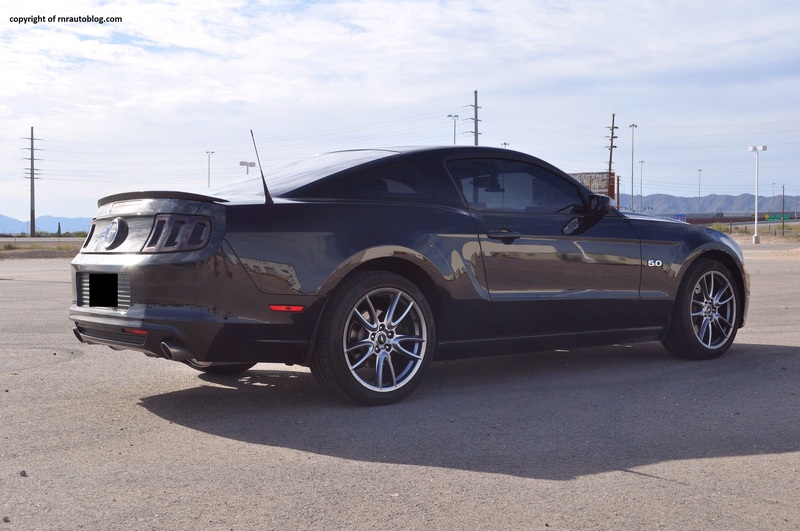 Handling is one of the Mustang’s virtues. The steering is responsive although it is somewhat light, and it could use more road feel. 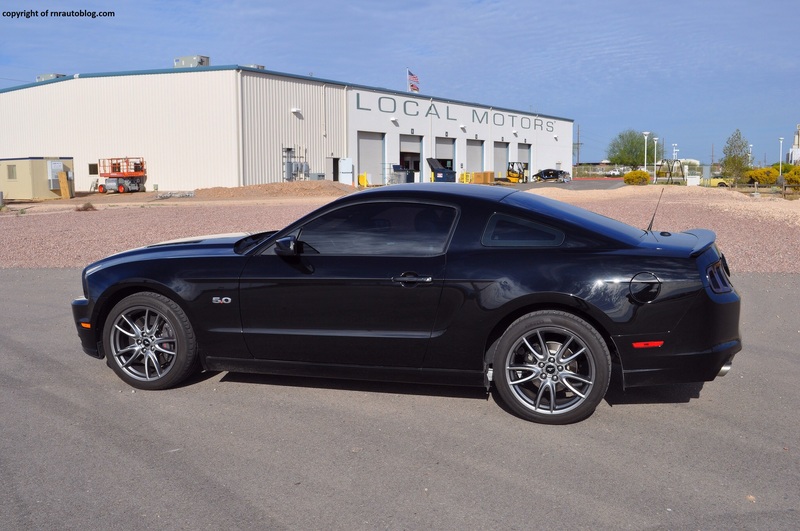 Even though it employes an aging solid rear axle (the same suspension some trucks use) instead of an independent suspension, the Mustang is very capable. 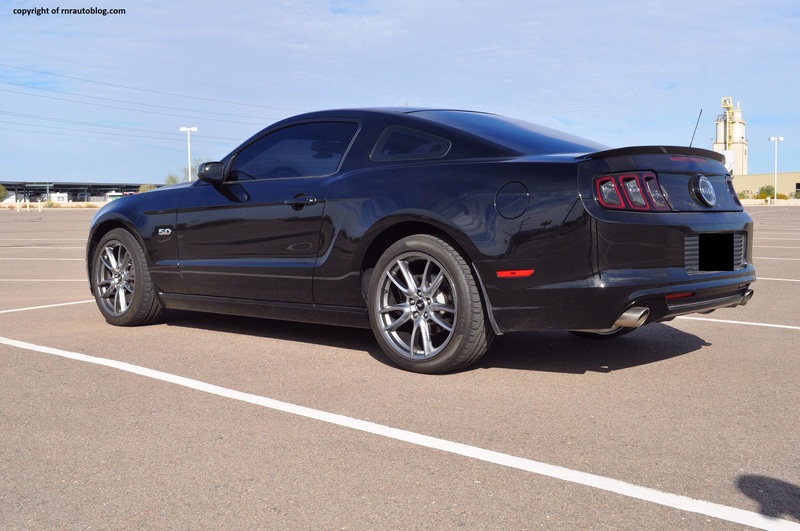 Tire grip is excellent, and the Mustang remains controllable. Body lean is well contained. Even if it gets out of line, all that is needed is a flick of the steering wheel to keep it back in line. 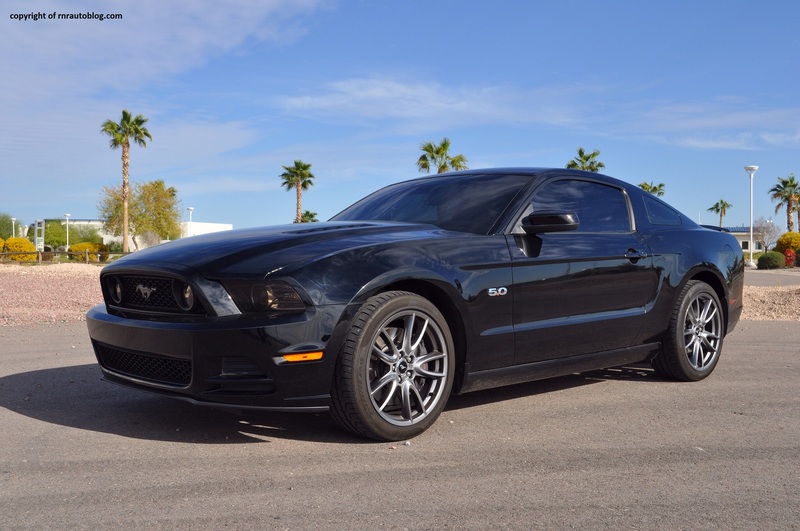 Even when hustled, the Mustang remains secure and predictable. It is eager, but not so much that its behavior becomes darty. The ride quality is firm, and bumps become more intrusive than one might expect, but it is not terribly uncomfortable. For the most part, it is comfortable for a sporty car. Braking is excellent, and the brake pedals are easy to modulate. The heart of this beast is a 5.0 liter V8 engine. At 402 horsepower, it is not lacking in the power department. The V8 is a gem. It loves to rev, and it enjoys being pushed. There is no lag, and engine response is smooth and linear. There is abundant torque at any revs, so you never feel you have to downshift for more power. The transmission on hand is a six speed manual transmission. It is slick and easy to shift. 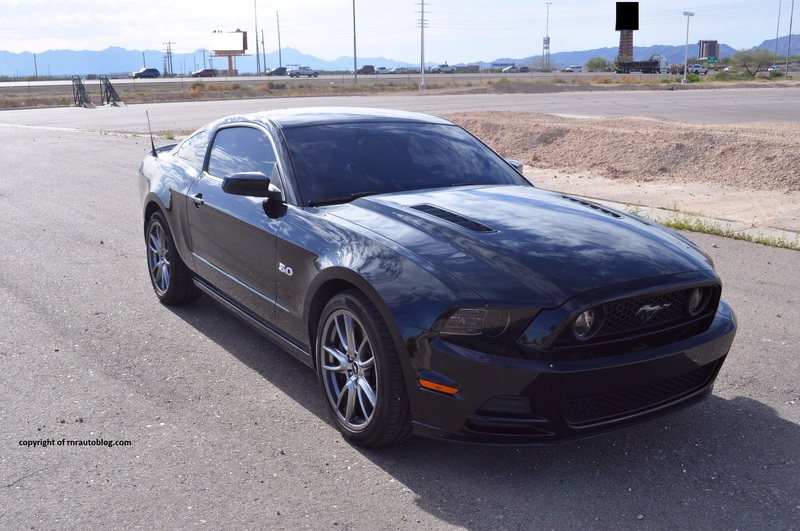 Its light action suits the V8’s lazy demeanor perfectly.The long clutch travel in the 2011 Mustang that I reviewed has been eliminated. The clutch exhibits good feel and bite. 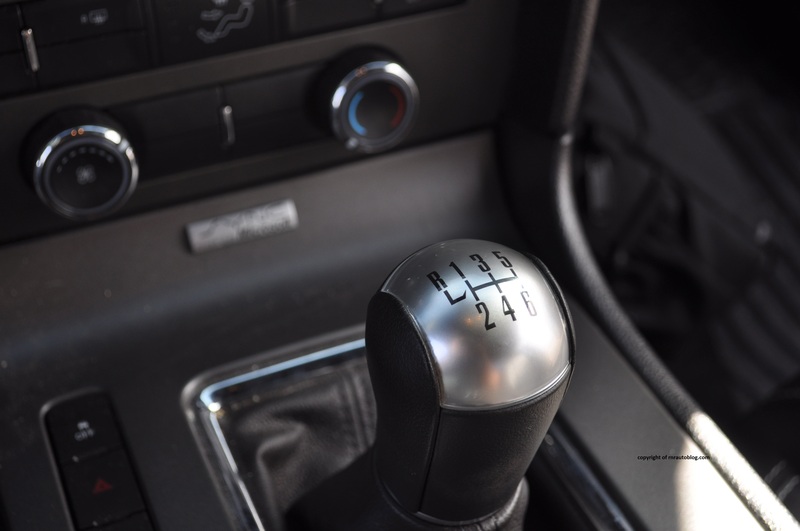 A six speed automatic transmission is available. Fuel economy is decent at 19 city/22 combined/29 highway. Generally, refinement is sound. Only at highway speeds, wind noise becomes apparent. The engine grumbles at low revs. At full throttle, it turns into an addicting snarl. In the past Ford has struggled in terms of fit and finish. 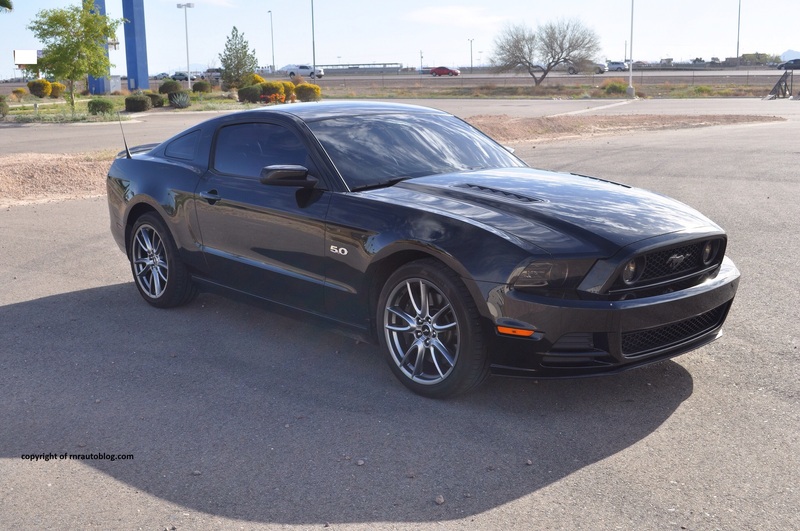 But in this Mustang, Ford has really come a long way. It may not feel luxurious inside, but everything fits together well. The gauges are crisp and clear. The controls are easy to use although the climate controls can be hard to access due to the gear shifter.The buttons are too small and similar to each other. The Sync System is intuitive, and the voice command system is one of the best that I have come across. The leather seats are comfortable, and they have enough support in the corners. The driving position is restricted by a wheel that does tilt but not telescope. It is roomy in the front but some people may find the center console too confining. The rear seats are supportive, and they are somewhat roomy. Headroom is lacking though, and so is toe room. Visibility is just adequate. One notable flaw with the interior are the two cup holders in the front. The first cup holder becomes useless because the gearshift gets in the way. 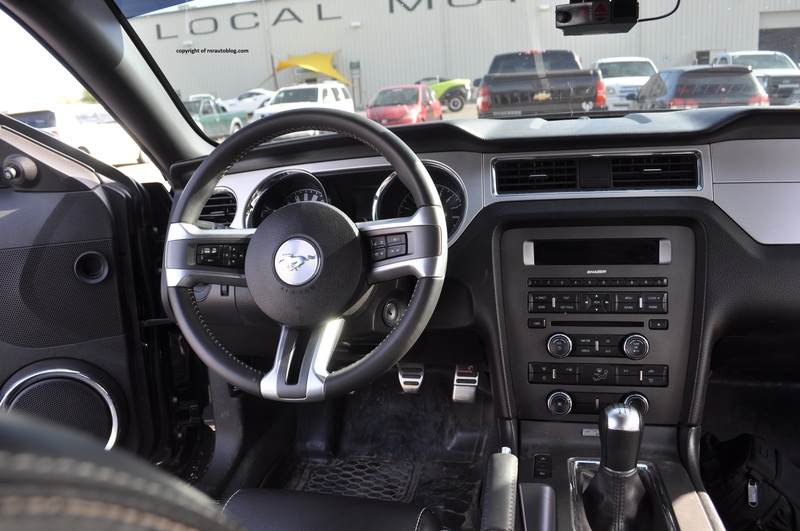 I also noticed this in the 2011 Mustang. The trunk is spacious. 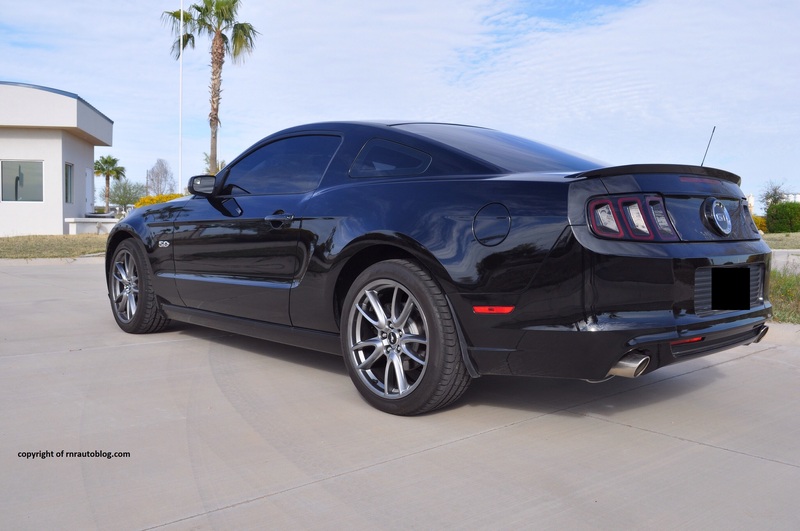 It is not hard to see why the Mustang is still successful after all these years. 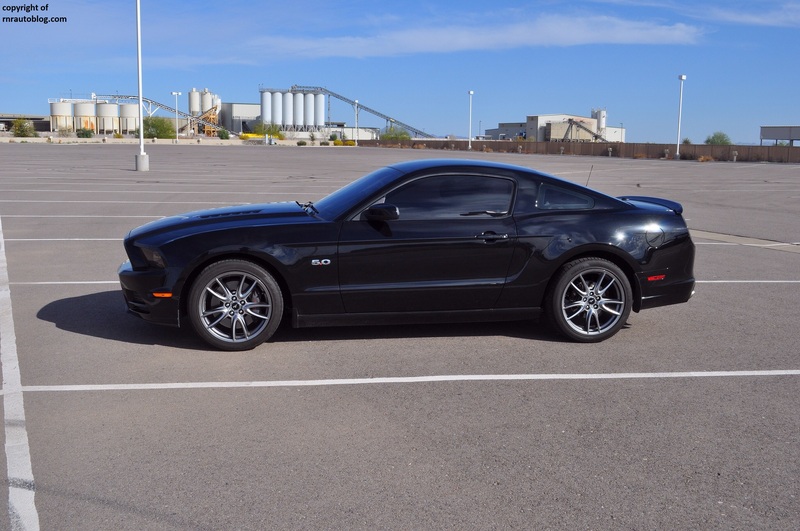 Even though it is almost ten years old in its design, the Mustang still continues to impress. Ford has no notion of fixing what is not broken in the first place. Driving this car enables me to forget my worries in the real world, and just focus on driving. This is the ideal midlife crisis car not because of its image, but because it will compel you to feel younger. For a car that excels in many areas, not to mention that it is American, it is a winner.